In this article, we are going to overview a specific form of malware that is aimed at mining online currency like Bitcoin, Dashcoin, Monero, Monero Original, and other. Unfortunately, there are plenty of threats of this type roaming the Web nowadays including such parasites as Debug.exe miner, Valhalla miner, Miner.exe, Harvest miner, CPU miner, SiaCoin miner, JS:Cryptonight miner, WaterMiner malware, Auto Refresh Plus Adware miner, and many more. For time saving and convenience reasons, we will refer to this category of infections as Bitcoin miner virus. Like most malicious software, Bitcoin miner virus is used to make easy money. As the value of Bitcoin continues to rise, so does the number of malware aimed at mining online currency. Bitcoin is created through a process called mining, which uses computer processing power. As this process requires a lot of time and CPU, cyber criminals discovered a way to avoid wasting both: they use miners to infect other computers and exploit their resources instead. Needless to say, the performance of an infected computer suffers severely. If you suspect that such an intruder is present on your PC, you should terminate Bitcoin miner virus without hesitation. How does Bitcoin miner virus spread? Bitcoin miner virus developers use different methods to spread their threat online. It may arrive onto your computer through a malign email attachment or a corrupt link posted as a spam notification on a suspect site. It is also possible that the virus gets embedded in a Trojan horse or bundled with third-party software downloaded from an unreliable webpage. As stated above, malware continues to evolve and one good example of it is the Rakhni Ransomware+Miner Trojan that drops different malicious software onto your computer depending on certain parameters. If you have a Bitcoin folder in the %AppData% directory, the parasite infects your PC with ransomware. If, on the other hand, it finds that your computer has a dual-core or a more powerful processor, it will install a miner onto it instead. What are the symptoms of Bitcoin miner virus? Although you may not notice the symptoms right away, little by little you will start paying attention to the fact that your computer does not function with the same speed and stability as it used to. As we have already mentioned, miners use up your CPU and GPU, which you will notice if you open your Task Manager. You may see processes like XMRi in the Task Manager using up more than 50% of your CPU, which will lead to system slow downs and overheating. This, in turn, could result in hardware damage. The miner can harm your computer to the point that you will no longer be able to use it, which is why it is imperative to terminate Bitcoin miner virus as soon as possible. Depending on the type of the miner virus, you may also have to deal with other symptoms like excessive advertisements appearing on all pages that you visit and redirects to corrupt domains. Moreover, the threat can also infect your system with other parasites like spyware that could be used by hackers to steal personal and financial information, which could result in such serious issues like financial losses and identity theft. How to detect Bitcoin miner virus? Unfortunately, Bitcoin miner virus detection is a rather tricky process as this parasite is a fileless threat, which interacts with ActiveScriptEventConsumer, __AbsoluteTimerInstruction, __EventFilter, __IntervalTimerInstruction, and __FilterToConsumerBinding root classes instead. 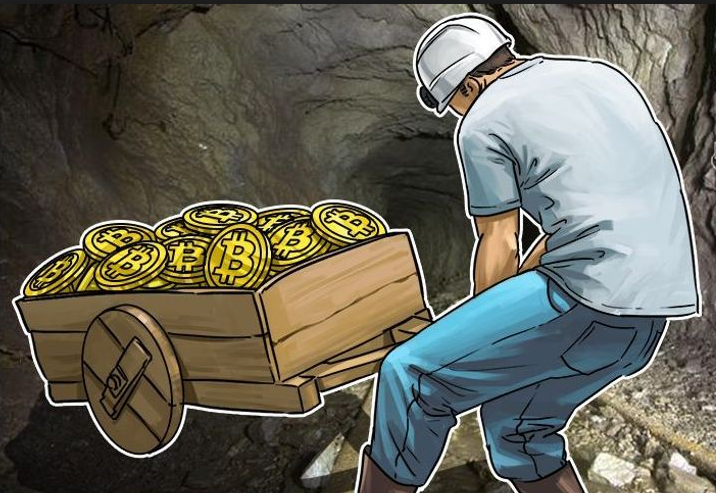 The threat may be detected under the following names: Application.BitCoinMiner, PUA.CoinMiner, Trojan.BitMine, Riskware.BitcoinMiner, Riskware.Miner, and W32/CoinMiner. It should be mentioned, however, that not all anti-virus utilities are capable of identifying the infection. Still, if you notice the above-mentioned symptoms, you can suspect that there is malware on your computer, even if your security software does not report it. In this case, you should move on to Bitcoin miner virus removal. How to remove Bitcoin miner virus? The sooner you get rid of Bitcoin miner virus, the better. Manual Bitcoin miner virus removal is out of question, unless you are a computer expert and know how to deal with registry entries. Even so, it is a complicated process, which, if handled incorrectly, could lead to serious system issues. The recommended course of action is implementing a powerful anti-malware utility. If you use the malware remover presented on our website, it will identify all malign items on your PC including the miner. The security suite will them eliminate Bitcoin miner virus in its entirety, clean your computer from other threats, and ensure its safety and stability in the future by providing you with online protection in real time and other valuable features.